Tomo: I added you in my blog links at photopixel too. Bye. 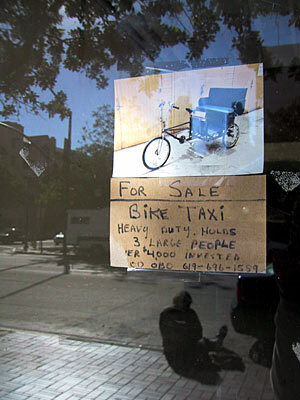 man that’s alot of money invested on a bike taxi… but who’s gonna use it around here? I guess when the traffic is really that bad then maybe we can use one of those down here. > stephen i think this is for tourists.